At safety, many people each year just draft the names they remember: Reshad Jones, Morgan Burnett, Harrison Smith or maybe Eric Weddle. Fortunately at safety this often works out, the better safeties are more well known for a reason. However, without digging a little deeper you may be left watching the waiver wire or looking up defensive stats and trying to beat or outbid a league mate for the best available safety. In my rankings this year two of the aforementioned safeties are safely near the top of the list, but the other two didn’t make the list at all. Sure, there are many hold overs on my rankings from the previous several seasons, but there are also some newcomers to the rankings you may or may not be aware of. My rankings start with a rookie who could pushing Jahleel Addae to a smaller role and continue on to a familiar face once again at the top. 20) Derwin James, Los Angeles Chargers – Prior to the Chargers making James the 17th pick in the NFL Draft this year, Jahleel Addae would have occupied a spot around this position. However, James had been learning both safety positions and should out snap the other safeties for the Chargers this year. In college James was known as sure tackler and with his 4.47 speed, timed at the NFL Combine, he will help the Chargers both in coverage and in the box. If not for a likely adjustment period James will likely experience as he gets used to NFL play, I could see him finishing much higher in the final rankings. 19) Barry Church, Jacksonville Jaguars – Church has been a tackling machine at safety for years, first with the Dallas Cowboys and last year with the Jacksonville Jaguars. On this unit he has less opportunities than he had in Dallas where he routinely finished among the top ten fantasy safeties each year. The strength of the front seven on this team leads to less tackling opportunities however. In addition, Jacksonville drafted a younger safety, Ronnie Harrison, with a similar skill set in the third round of the NFL Draft this year. If you draft Barry Church in your draft, keep an eye on his snap count mid-season to see if it stays constant or if Harrison starts earning more snaps. 18) Marcus Williams, New Orleans Saints – Williams was the ‘goat’ in the Saints’ playoff matchup with the Minnesota Vikings last season, but as a rookie starter he had a nice season. He played 96% of the snaps on defense and solidified the free safety position for the Saints who struck out with the high priced acquisition of Jairus Byrd two seasons prior. I’d expect a rise in fantasy points per snap for Williams in his second season in Dennis Allen’s defense. 17) Justin Simmons, Denver Broncos – the emergence of Justin Simmons in his rookie season allowed the Broncos to release strong safety T. J. Ward last summer, and Simmons did not disappoint. He played on 98% of the defensive snaps and should be owned in every IDP league using at least two defensive backs. Simmons has extra opportunities for tackles in this defense due to average linebacker play. The Broncos have been unable to replace Danny Trevathan since he left for Chicago in free agency in 2016. They have tried again this year with the pick of Josey Jewell out of Iowa in the NFL Draft. 16) Earl Thomas, Seattle Seahawks – Thomas is a long time quality safety for the Seahawks. His best fantasy seasons have come when his tackles are up, and with the retirement of Kam Chancellor he should have even more opportunities this season. There are still trade rumors involving Thomas, so keep your eye on the situation and if he is traded take into his account his role on his possible new team before drafting him. 15) Eddie Jackson, Chicago Bears – Eddie Jackson is coming off of an impressive rookie season. Paired with Adrian Amos they make up perhaps the best safety duo in their division. With a year of experience accompanying him now Jackson, who finished just outside of the top twenty safeties last season (depending on your scoring system), should secure a spot among the top twenty fantasy safeties. 14) Tyrann Mathieu, Houston Texans – Mathieu who was the top safety in fantasy a few seasons ago saw his role change with the Arizona Cardinals. He was asked to play a lot more cornerback, but now with the Houston Texans he should get back to his role as a playmaker at safety. He will likely have an inexperienced safety playing next to him to start the season and should have even more opportunities to make plays early in the season. 13) Matthias Farley, Indianapolis Colts – The Colts had a bottom three defense in 2017, and in 2018 the outlook looks similar. Farley should again have plenty of snaps to make an impact as the Colts defense will again be on the field a ton, as they look to groom some of their recent young draft picks. 12) D.J. Swearinger, Washington Redskins – D. J. Swearinger seems to have finally found a home, after many team changes, in Washington. Last season he accumulated 79 tackles to go along with 4 interceptions in the Washington secondary. Most of the pieces on defense are the same this season in Washington, and I expect Swearinger to again lead this secondary in fantasy points. 11) Budda Baker, Arizona Cardinals – Budda Baker by the end of 2017 was Arizona’s best safety. He played only 49% of the defensive snaps his rookie year and still finished the season just outside of the top twenty safeties in fantasy points. This season his role will grow, especially with the departures of Tyrann Mathieu and Tyvon Branch from the Arizona secondary. Baker is the most likely candidate from safeties 11-20 to break into the top ten. 10) Glover Quin, Detroit Lions – some safeties don’t hit their stride until later in their careers. Glover Quin is a perfect example, not becoming fantasy relevant until he was in his thirties. Now, he is coming off of two consecutive impressive fantasy seasons for first Houston and now Detroit. He should reprise this role again in the 2018 season as Detroit still looks to improve at the second level of their defense. 9) Jamal Adams, New York Jets – Adams had his ups and downs after being drafted in the first round of the 2017 NFL Draft, but at the end of the seasons he had a solid set of fantasy stats. His 83 tackles and 2 sacks should only improve in his second season as he still looks for his first career interception. 8) Micah Hyde, Buffalo Bills – the Bills are the only team with two safeties among the top ten this year. That should tell you they were busy last season. Looking at Buffalo’s offensive side of the ball I don’t see how they will improve significantly, so the Bills defense will be busy again this year. Hyde is the playmaker among the two safeties filling a broad range of stat categories, one of the most significant being punt return duties. 7) Harrison Smith, Minnesota Vikings – Harrison Smith is another player that has been a really good safety since he entered the league. Last season was his best fantasy season since 2014, and the common link between the two seasons is he played all sixteen games. In between, he missed only five games so he is still very reliable, and can be counted on to once again be among the best fantasy safeties in the game. 6) Jordan Poyer, Buffalo Bills – Poyer had a breakout season in Buffalo last year. In seasons prior he played for Cleveland and was a below average safety at best. Will he be able to duplicate last season’s success? I’d say he is a good bet to produce for your fantasy team in 2018. His position appears secure on the Buffalo defense, and he will again be on the field for a snap count among the league leaders. 5) Keanu Neal, Atlanta Falcons – Neal entered the NFL in 2016 out of the University of Florida. In 2017 he was one of the highest ADP players at safety and will be once again this season. He is another player who plays most of his team’s defensive snaps, 99% in 2017, and good both against the run and in coverage. This means he will have plenty of opportunities to once again fill up the stat sheet. 4) Sean Davis, Pittsburgh Steelers – Despite nearly one hundred fewer snaps than some other top safeties Davis outscored most of them. In his second season after being drafted by the Steelers, Davis took over the strong safety role, and is a lock for continued fantasy success at the position. 3) Landon Collins, New York Giants – Landon Collins, after being the top safety of the 2016 fantasy season, had a down year. Despite this he was still a top ten fantasy safety, it’s just most of his stat categories from the prior year were down: 125 tackles became 104, 5 interception became 2 and 13 passes defended became 6. Any other safety would be ecstatic with these stats, but I believe Collins will improve, maybe not to 2016’s level, but a bit higher than the 2017 season. 2) Kevin Byard, Tennessee Titans – Kevin Byard was basically an unknown player prior to 2017. In 2016, his rookie season, he did start seven games, but over the shorter period he made less of a fantasy impact. However in 2017 he started strong and stayed strong throughout the season, one of less than a handful of safeties with a 100% participation rate on their team’s defensive snaps. His 8 interceptions definitely helped him finish as the top fantasy safety in some scoring formats, but the 16 passes defended should be a sign of more good play to come. He most likely will not reach the 8 interceptions again this season, but overall he should be among the top safeties. 1) Reshad Jones, Miami Dolphins – Jones lead all safeties in tackles again last season with 122. It seems when healthy he will always be among the league leaders, but he also is a playmaker on defense. This season he will likely play next to the Dolphins future at safety, Minkah Fitzpatrick, but Jones shouldn’t slow down. The Dolphins still have question marks at linebacker, especially on third down, and Jones will be counted on as the last line of defense. He should easily once again surpass 100 tackles and finish at or near the top of the safety position in fantasy points. Some other safeties I should mention who are worth possibly drafting or at least keeping an eye on are the two Baltimore safeties Tony Jefferson and Eric Weddle. Both play will play a ton of snaps with the current state of the Ravens offense. Of course Malcolm Jenkins in Philadelphia is no stranger to finishing among the top twenty safeties as well. A couple of other quick mentions would be Ha Ha Clinton-Dix in Green Bay – will the departure of Morgan Burnett finally allow him to rise up, and rookie Jessie Bates III in Cincinnati where the safety position is wide open for him to claim a starting role. Check back next week for my Defensive Tackle rankings, and check back as our site continues with it’s rankings for Linebackers, Running Backs and Wide Receivers. Good luck this fantasy season! Major League Fantasy Baseball Radio Show: Join host Brian Roach, Jr, and Cole Freel live on Sunday July 8th, 2018 from 8-9:30pm EST for episode #128 of Major League Fantasy Baseball Radio. We are a live broadcast that will take callers at 323-870-4395. Press 1 to speak with the host. We will discss the latest information in the world of fantasy baseball. 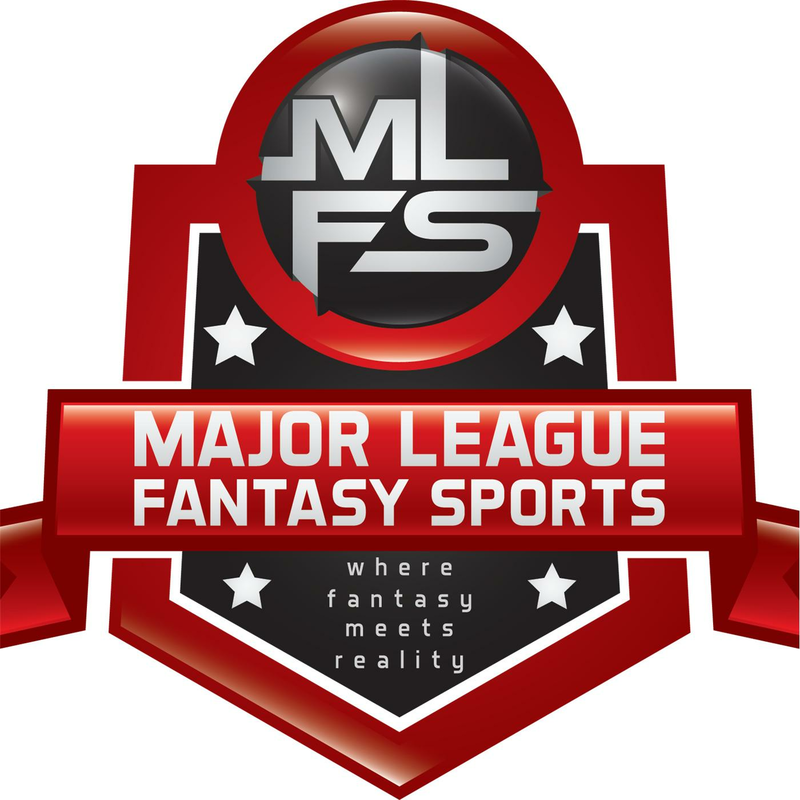 Major League Fantasy Football Radio Show: Join host Corey D Roberts, and James Wilk live July 12th, 2018 from 8-9:30pm EST for episode #84 of Major League Fantasy Football Radio. Call in number is 323-870-4395 press 1 to speak with the host. This is our kick of show for the 2018 fantasy football season. We will hit free agents, rookies, and fantasy football as a whole for each team for 2018. This week we will discuss everything AFC South!